A sustainable and resilient economy – one that prioritises human well-being, social equity and protection of our environment – is the foundation for ensuring Australia’s prosperity. The Australian Sustainable Finance Initiative has been established to set out a roadmap for realigning the finance sector to support greater social, environmental and economic outcomes for the country. The Australian Sustainable Finance Initiative (ASFI) is an unprecedented collaboration formed to help shape an Australian economy that prioritises human well-being, social equity and environmental protection, while underpinning financial system resilience and stability. ASFI brings together leaders spanning Australia’s major banks, superannuation funds, insurance companies, financial sector peak bodies and academia to develop a Sustainable Finance Roadmap, in consultation with diverse sectors and stakeholders. 4. Delivering a financial system that meets community and consumer expectations around sustainability and norms including informed engagement, improved and informed choice, effective disclosures and client interests while enhancing financial inclusion and financial well-being. ASFI was born out of industry discussions which took place at the end of 2017, including the Financing a Resilient and Sustainable Economy conference held in July 2018 in Sydney. At this event, representatives from academia, government, the finance sector, industry bodies, regulators and civil society discussed the importance of aligning the finance sector in Australia and New Zealand with the delivery of resilient and sustainable economies, including drawing on international developments. The conference reinforced strong support for the finance sector to lead a sustainable finance roadmap initiative in Australia, with international and regional peak bodies pledging commitment to help deliver the Roadmap (see joint statement). Read ASFI’s Terms of Reference here. The health, sustainability and stability of our economy is inextricably linked with the health, sustainability and stability of our people, society and the natural systems on which we all depend. For Australia to continue to prosper in the 21st century we need to realign the systems that underpin our economy to support human well-being, social equity and our environment. Australia has demonstrated its commitment through ratification of the Paris Agreement on climate change, the adoption of the Sustainable Development Goals, as well as long-standing commitments to uphold UN human rights obligations and other relevant international conventions. To deliver on these commitments while meeting the expectations of Australians now and into the future, we need a financial system that is aligned to these commitments. Globally, momentum is building to better align finance with our sustainable development needs. Countries and regions around the world are setting out Sustainable Finance Roadmaps that provide pathways and policy signals and set frameworks to enable the finance sector to contribute more systematically to the transition to a more resilient and sustainable economy, consistent with these global goals. Our work is modelled on the work and progress internationally to align the finance sector with the goals of a resilient and sustainable economy, including the European Union’s High Level Expert Group on Sustainable Finance and the UK’s Green Finance Taskforce. The Australian Sustainable Finance Initiative comprises a Steering Committee with senior financial services, academic and civil society representatives, charged with overseeing the delivery of the Australian Sustainable Finance Roadmap as part of the Initiative. Working groups are also being established to bring in specific expertise, engage different parts of society and gather and distil diverse inputs to help frame understanding of the challenges and possible steps for the Roadmap. Anna is CEO of ClimateWorks Australia, a non-profit, specialist adviser committed to accelerating the transition to net zero emissions for Australia and Asia Pacific. ClimateWorks was co-founded in 2009 by The Myer Foundation and Monash University and works within Monash Sustainable Development Institute. Anna is a former banker, lawyer and policy adviser, and currently a Director of the Centre for New Energy Technologies, the Green Building Council Australia and the Sustainable Melbourne Fund, and a former director of the Clean Energy Finance Corporation, the Carbon Market Institute and Amnesty International Australia. 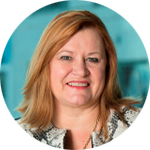 Christina Tonkin is ANZ’s Managing Director, Loans & Specialised Finance for Institutional Banking. Loans & Specialised Finance comprises ANZ activities in Corporate Advisory; Project Finance; Export Finance; Sustainable Finance Solutions; Asset Finance; Leveraged Finance; Loan Product & Execution, Loans Agency and Loan Syndications. Christina holds a Bachelor of Science (Hons) in Geology & Geophysics from Sydney University. She is Vice President for Women in Banking & Finance, a former Vice President of the National Stroke Foundation and a member of Chief Executive Women. Damien Walsh is Managing Director of Bank Australia Limited. 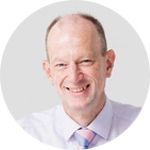 Damien has over 30 years of experience in the mutual banking sector and he has been a leading voice in promoting values-based banking that creates mutual prosperity for people, communities and the planet. Under Damien’s leadership, Bank Australia has been recognised nationally and internationally as one of Australia’s most successful mutual banks. Damien has been instrumental in shaping the bank’s approach to sustainable development, responsible business practices, and leading a highly engaged corporate culture. In 2014 he was awarded a CEO Banksia Award for his contribution to sustainability. David is the CEO for Cbus, the national industry fund for more than 760,000 building and construction workers Australia wide, with AUD$47 billion funds under management. David was previously the CEO for Emergency Services and State Super and the CEO for JUST Super. He is Chair of SuperFriend a not-for-profit mental health foundation focused on creating mentally healthy workplaces, and is a Board Director for Frontier Advisors. David has a BA Hons University of Melbourne, Master of Arts Latrobe University and a Diploma of Financial Services and was recognised with distinguished alumni award from La Trobe University for his work in sustainable finance field. He was recently awarded the FEAL Fund Executive of the Year 2017. Didier is the General Manager, Corporate & Institutional Banking for Westpac Institutional Bank (WIB). 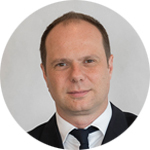 In this role, Didier has global responsibility for Westpac’s corporate, institutional and government banking relationships, as well as ownership of the debt products offering, the management of the WIB balance sheet and the Industry Analytics & Insights function. He has over 20 years of institutional and investment banking experience globally, including in Europe, New Zealand and Australia. 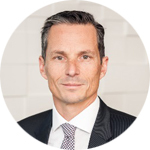 Didier is also the Chairperson of Westpac Group’s Climate Change Solutions Committee, Co-Chair of WIB’s ESG Risk Management Committee as well as the WIB representative on Westpac Group’s Sustainability Council. Emma Herd has been Chief Executive Officer at the Investor Group on Climate Change since August 2015. Emma has worked in climate change, sustainability, public policy and finance for almost twenty years. Prior to IGCC, Emma spent 15 years at Westpac Banking Corporation where she worked at the vanguard of climate change and finance. 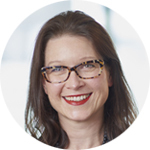 She held a range of roles across carbon finance and emissions trading, ESG Risk assessment, public policy and advocacy, sustainability strategy development and corporate affairs across Westpac Institutional Bank and Westpac Banking Corporation. She started her career working in Parliamentary Committees (Senate and House of Representatives) in Parliament House, Canberra. Emma is a Non-Executive Director of the Carbon Market Institute and a member of the Queensland Climate Change Advisory Council. She holds a Bachelor of Asian Studies (Thai) Hons. Eric leads a global group of finance professionals who support the specialised funding needs of NAB clients. Eric has responsibility for enabling infrastructure, clean energy and renewables finance, as well as working with governments, universities and community organisations to develop new and innovative sustainable finance products including green, sustainability and social impact bonds. Eric has an extensive career in finance and has held positions at NAB including the role of Group Treasurer. He is also the Chair of NAB’s Climate Change Working Group and is a past member of the Global Steering Committee of the UN Environment Programme Finance Initiative. 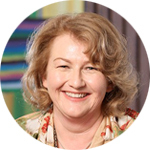 Jacki is Group Executive, People, Performance & Reputation at IAG, responsible for the functions of people and culture, corporate and government affairs, safer communities, the Australian Business Roundtable for Disaster Resilience & Safer Communities and the IAG Foundation. She is also an elected member of the UNEP FI Global Steering Committee holding the role of Co-Chair, a member of Chief Executive Women and a member of the Steering Committee for Sydney 100 Resilient Cities. From 2010 to 2016, Jacki was Chief Executive of IAG’s New Zealand business. Former roles include President of the Insurance Council of New Zealand, Chair of the Christchurch Recovery Chief Executives' meeting, and Executive Director IAG New Zealand. In addition, Jacki is a Non-Executive Director of Community First Credit Union and a member of the Corporate Governance Committee. 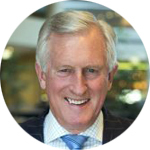 Dr John Hewson is an economic and financial expert with experience in academia, business, government, media and the financial system. John is a highly respected economic and business leader with a long track record on sustainability and action on climate change dating back to his ambitious emission reduction policy in 1993. He has worked as an economist for the Australian Treasury, the Reserve Bank, the International Monetary Fund and as an advisor to two successive Federal Treasurers and the Prime Minister. Dr Hewson was the former leader of the federal opposition in Australia during 1990-1994. He is the Chair of the Tax and Transfer Policy Institute at ANU. In November 2018, John was appointed a Director and the Chair of the Business Council for Sustainable Development Australia. Mark has more than 30 years of international and Australian top tier business experience. Throughout his career, Mark has served as Executive Director of Finance for National Australia Bank Group, Chief Financial Officer and Head of Strategy and Mergers and Acquisitions for Citigroup’s global wealth management business in New York, Senior Vice President of Corporate Development at Boston Consulting Group and Associate Director of Australian Ratings (now Standard & Poor’s). 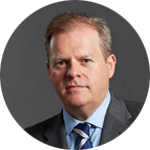 Mark has also held directorships at Clydesdale Bank Plc, Boston Consulting Group and JBWere. Mark holds an MBA with distinction from the Melbourne Business School and is a member of the Institute of Chartered Accountants (England and Wales). In addition to chairing the QBE Australian and New Zealand Operations (ANZO) Board, Mark chairs the ANZO Investments Committee. 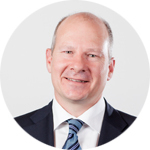 Mark currently holds office as Managing Director and Head of Australia & New Zealand, Swiss Reinsurance Company, having been with the company since February 2003. In his current capacity, Mark forms part of the APAC regional management team at Swiss Re while concurrently holding positions as Director of the Board of the Insurance Council of Australia and Committee member for the Life Board for the Financial Services Council. With over two decades of experience in reinsurance his career spans from underwriting, marketing, client management to strategic management. Mark graduated from the University of Sydney in 1988 with a degree in Electrical Engineering and is a Graduate of the Australian Institute of Company Directors. He is married with two children and enjoys running, watersports, architecture as well as wide and varied taste in music. 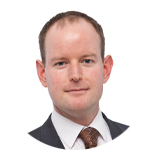 Matthew McAdam joined the Principles for Responsible Investment (PRI) in 2012 and is responsible for overseeing the PRI’s activities in the Asia Pacific region. He previously led the PRI’s global Communications and Events teams in London and prior to this worked at Standard & Poor’s managing communications and media relations across S&P’s credit ratings, indices, equity and fund research businesses across Europe, the Middle East and Africa. He was previously a finance journalist at The Australian Financial Review in Sydney. 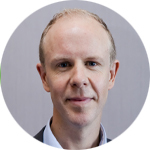 Matthew has a Masters in Sustainability Leadership from the University of Cambridge, a Bachelor of Communications from Griffith University and a Graduate Diploma of Applied Finance and Investment from Australia’s Finsia and the UK Investment Management Certificate. With over two decades’ experience in Australia and London, Michael is responsible for overseeing advice, client relationships and financing for the CBA’s institutional infrastructure and real estate clients. Commonwealth Bank’s infrastructure and real estate team is a major part of the CBA’s Institutional Banking & Markets division, and supports vital national infrastructure such as energy and water utilities, hospitals, schools, prisons, roads, railways and ports, commercial and residential real estate. Michael is also responsible for sustainable finance within the Institutional Banking and Markets Division at CBA. Michael has also held senior roles in project finance and resources at Lloyds Banking Group, Bank of Scotland and Westpac Banking Corporation, and was a former Board member of the Clean Energy Council. He holds a Bachelor of Science (Honours) from the University of Western Australia. 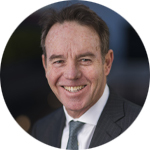 Phil is the Managing Director of Australian Ethical Investment, Australia’s leading ethical superannuation fund and investment manager with over $3bn in funds under management and has over 30 years’ experience in financial services. Phil is a Director of the Responsible Investment Association of Australia and the Planet Ark Environmental Foundation. He is also Chairman of Beyond Zero Emissions, a climate change think tank. 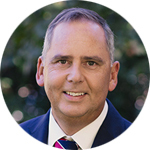 Phil holds a Bachelor of Economics from the University of New England, a Masters in Commerce from the University of New South Wales and a Master of Business Administration from Macquarie Graduate School of Management. He is a Fellow of the Australian Institute of Company Directors and of Chartered Accountants Australia and New Zealand. Richard was appointed as chief executive officer, Australia of Pendal Group (formerly BT Investment Management) in February 2018 and is a member of the Pendal Group Global Executive Committee. Richard has more than 20 years’ experience in investment management and is responsible for the Australian arm of Pendal Group, including asset management, operations, sales and marketing. Before joining Pendal Group, Richard was Chief Investment Officer at First State Super, one of Australia’s largest pension funds and prior to that was Group Executive at Perpetual Investments, one of Australia’s oldest and most awarded fund managers. Richard is a CFA charterholder and holds a Bachelor of Economics from the University of New South Wales. Richard previously served as president of the CFA Society and is vice chair of the Australian Advisory Board on Impact Investing. Professor Robynne Quiggin is a Wiradjuri lawyer who has worked across legal and policy areas of relevance to Aboriginal and Torres Strait Islander Australians including financial services, consumer issues, human rights, governance, rights to culture, heritage and the arts. Robynne has served on the board of Bangarra Dance Theatre, the Australian Institute of Aboriginal and Torres Strait Islander Studies (AIATSIS) and was formerly a Trustee of the Australian Museum. 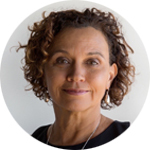 She currently chairs the Board of the NSW Aboriginal Housing Office chairs Westpac’s Indigenous Advisory Committee, is a member of Westpac’s Stakeholder Advisory group and IAG’s Consumer Advisory Board. Sarah Barker is Head of Climate Risk at MinterEllison. 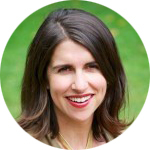 She has two decades' experience as a corporate lawyer, and is regarded as one of the world's foremost experts on investment governance issues relating to climate change. 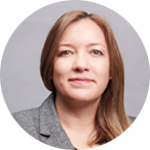 Her expertise is sought by public and private sector clients across Australasia, and by global institutions from the Bank of England to the United Nations PRI. Sarah is a non-executive director of Emergency Services & State Super, and the Responsible Investment Association Australasia. She teaches the Australian Institute of Company Directors' flagship Company Directors' Course and Cambridge Institute for Sustainability Leadership's 'Earth on Board' programme, and in an academic visitor at the Smith School of Enterprise & the Environment at the University of Oxford. Simon is the CEO of RIAA - an organisation with over 240 organisations and individual members who jointly manage over $9 trillion in assets globally - where he has worked for the past 6 years to elevate sustainability issues as core investment risks and opportunities, and shift capital to support a more sustainable, equitable and prosperous world. 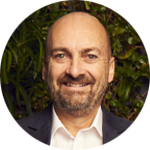 Simon has operated at the intersection of economics, finance and sustainability for nearly 20 years and has extensive international experience as an economic adviser, investment analyst and sustainability consultant across finance, corporate and not for profit sectors. Simon is active across the region and internationally in responsible investment and sustainable finance, as a member of the Global Sustainable Investment Alliance, member of the New Zealand Sustainable Finance Forum’s Technical Working Group, member of the Aotearoa New Zealand National Advisory Board on Impact Investing and the UN backed Principles for Responsible Investment (PRI) Australia Network Advisory Committee. 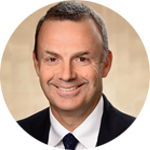 Geoff Summerhayes, Executive Board Member of APRA, Executive Committee Member of the International Association of Insurance Supervisors and Chair of the Sustainable Insurance Forum. Geoff Summerhayes was appointed a Member of APRA from 1 January 2016 for a five-year term. As an Executive Board Member of APRA his responsibilities include the oversight of the General, Life and Private Health Insurance sector. 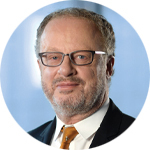 He is a member of the Executive Committee of the International Association of Insurance Supervisors and Chair of its Audit and Risk Committee, and Chair of the Sustainable Insurance Forum, established under the UN Environment Program. Mr Summerhayes was previously CEO of Suncorp Life, as well as being a director of Suncorp Portfolio Services Ltd and of Asteron Life NZ. Before joining Suncorp he held a number of senior roles at NAB in strategy, product and distribution. Prior to that he was CEO of Retail Investment at MLC and also held senior roles at Lend Lease. Mr Summerhayes was a director of the Financial Services Council and was co-chair of their Life Board Committee. 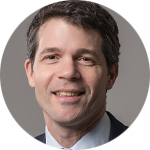 Eric Usher Heads the UN Environment Programme Finance Initiative, UNEP FI, a global partnership bringing together the UN with a global groups of banks, insurers and asset managers working to develop the sustainable finance and responsible investment agendas. Eric sits on several industry bodies including as UN representative on the Board of the Principles for Responsible Investment, as a member of the Governing Board of the UN Sustainable Stock Exchanges Initiative, as a member of the Evaluation Council of the French sovereign green bond and as Director for the impact fund REPP Africa. Prior to leading UNEP FI, Mr. Usher has over twenty years of experience in the low carbon sectors, spanning technology commercialisation in Canada, solar rural electrification in Morocco and financial sector development across emerging markets. If you are interested in being kept abreast of opportunities to engage in ASFI’s work such as joining a working group or commenting on recommendations, please get in touch. Thank you for your interest in the Australian Sustainable Finance Initiative.